A blue ribbon seat doesn’t equate to blue ribbon service. This is a metaphor for the political inertia and torpor that comes with being a blue ribbon seat. The Wakehurst floods quite regularly, probably once or twice a month and would simply not be tolerated if Mackellar was more marginal. 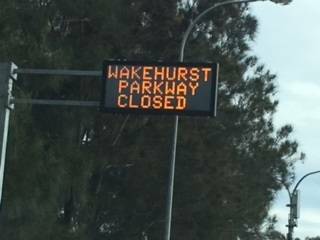 Last weekend during the big storm both the Wakehurst and Mona Vale road were out, leaving just Pittwater Road for ingress and egress. Sixty seven years of voting Liberal has got us absolutely nowhere. The message, loud and clear should be, “If you vote for more of the same, you’ll get more of the same”.